“I’m a UFC Expert. I know people in the UFC and they told me it’s gonna be Johnson vs. Lesnar for the belt, man. What a fight that is gonna be, right? I think Johnson can take him, man, I really do. I think this is the fight to make,” the random overweight dude in a Tapout t-shirt told our reporter. “Both of these guys are like, great, so it will be cool. 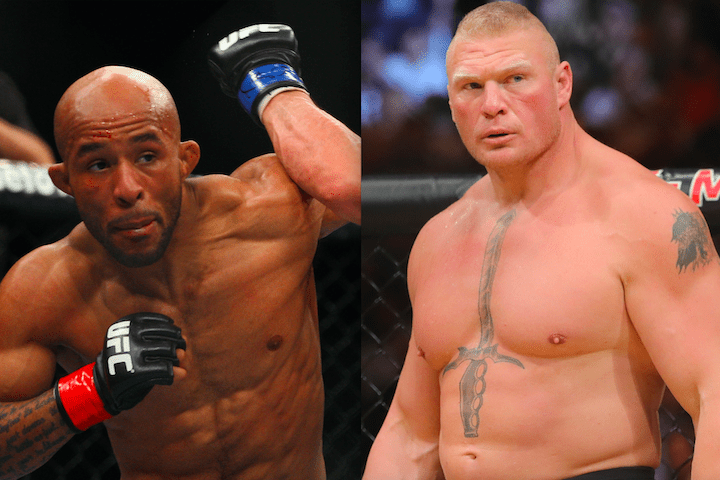 I think Lesnar won’t be able to deal with Johnson’s movement, man, and that for me is why Johnson is great. Cos he moves”. “Now I just fight for fun, bro. So don’t judge a book by its color,” he added while swigging a beer. The UFC did respond to our efforts to contact them, however. When we asked if the fight was in the works, we received a “lol” followed by a “thank you for the laughs”. The “UFC Expert” was last seen wandering around the Upper East Side in Manhattan, screaming something along the lines of “James Brown stole my underwear”.